A severe medical condition that has a great impact on the heart, patients suffering from coronary blocked arteries must be given utmost care right away. 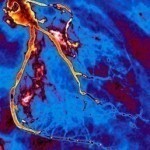 Coronary arteries and blood vessels are blocked due to build up of high levels of cholesterol and fats. When the blood flow is limited, vital nutrients and oxygen are unable to reach the various organs and tissues of the body. 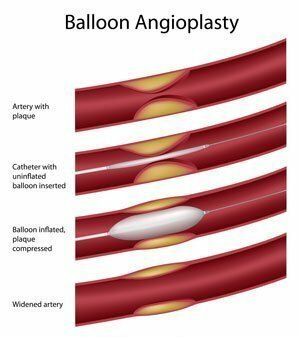 People can find out more about this medical condition by understanding the diagnosis, treatments and symptoms of coronary blocked arteries. 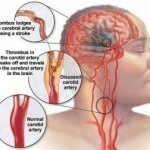 Several minor and major symptoms characterize coronary blocked arteries. Early on, there is shooting pain in the chest, tingling sensation and dull feeling. 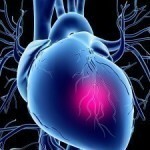 This type of severe pain or angina, is characterized as acute, tight and persistent. Furthermore, other parts of the body are bound to suffer from this chronic medical condition including the shoulder, jaw, abdomen and arm. While walking or running, patients can also feel stabbing pain somewhere within their legs. Exhaustion, fatigue and lightheadedness are also clear indications of people who are suffering from coronary blocked arteries. Throughout the duration of this serious disease, there is a chance for patients to feel nauseous, experience shortness of breath, verbal disruptions as well as weakness. Diagnosis is a key to a successful management and treatment of coronary blocked arteries. Identifying the real causes of the problem can actually help determine the proper solutions and treatments for this particular medical condition. It is also good for doctors to consider the medical histories of their patients. Thereafter, they can perform physical examinations to help rule out the other possible causes of the different symptoms. Proper diagnosis can be reached through stress testing, electrocardiography and electrophysiologic tests. 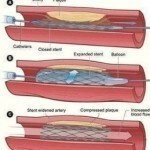 Coronary angiogram is one of the most preferred methods of physicians. Meanwhile, it is also possible to come up with clear and proper diagnosis using other means such as magnetic resonance imaging, positron emission tomography as well as radionuclide imaging. For simple cases, patients can try other methods that are less aggressive such as x-rays, tilt table testing and ultrasonography. Lifestyle changes are highly important for individuals who wish to treat the different signs and symptoms of coronary blocked arteries. They must never eat foods that have relatively high fat and cholesterol content. Likewise, they should make regular exercise and proper diet as intrinsic parts of their lives. For severe cases, the use of a pacemaker can help improve the beating of the hearts significantly.